Alex Hughes has written since early childhood, and loves great stories in any form including scifi, fantasy, and mystery. Over the years, Alex has lived in many neighborhoods of the sprawling metro Atlanta area. Decatur, the neighborhood on which Clean is centered, was Alex's college home. On any given week you can find Alex in the kitchen cooking gourmet Italian food, watching hours of police procedural dramas, and typing madly. 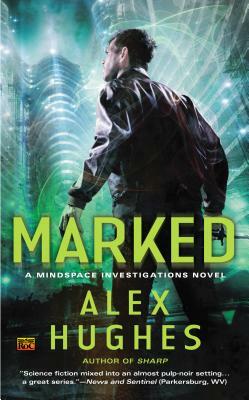 Marked is the third in the Mindspace Investigations series, following Sharp and Clean.